Worried about getting iPod music erased by iTunes when syncing them to a new computer? This article introduces 3 best iPod managers that enable you to easily transfer, backup, edit and delete music, videos, pictures from your iPod touch, iPod Nano and iPod Shuffle in the blink of an eye. Some songs or videos in iPod appear grey in iTunes and can't be transferred or deleted. Files from iPod not showing up in iTunes. iPod music get eased by iTunes in a newly-bought computer. More and more users encountered various iPod iTunes problems and feel the traditional iTunes way of managing iPod, iPhone and iPad unbearably unsatisfactory. So you need a powerful iTunes alternative to manage iPad files. Here are 3 best compelling iPod managers listed below to help you handle all your iPod stuff easily. 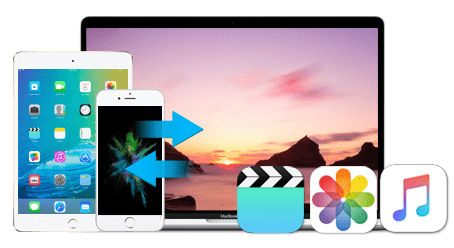 Top-rated iPod data transfer - MacX MediaTrans to help you easily transfer & manage photos, music, videos, ebooks, ringtone and more files from iPod to Mac (macOS Sierra) or vice versa with drag-drop. 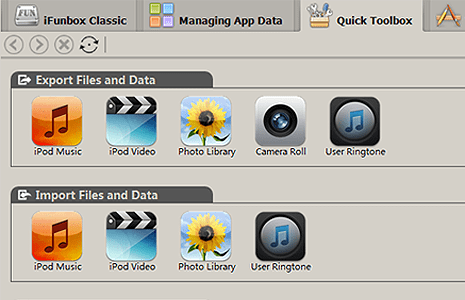 Lightweight and easy-to-use, Macx MediaTrans is a professional iOS manager and the best iTunes alternative that fits for all kinds of users, from file hoarders to meticulous taggers. It is able to export 20 songs from iPod (iOS 9.3.2) to iMac (CPU 2.7 GHz Intel Core i5) in 3 seconds and transfer 1000 photos in 30 seconds using the same hardware devices. And you can add and delete music, playlist and video within clicks. * Also manage iPhone and iPad after iOS 10 upgrade. Step 1. Download MacX MediaTrans on Mac and launch it. Step 2. Connect your iPod to Mac with a USB cable. Step 3. Click "Music Manager" to import/export songs, add, edit or delete music and playlists; press "Photo Transfer" to backup photos; for video transfer and deletion, hit "Video" button. iFunBox is a decent iPod manager for Windows. It allows you to share folders and files to your computer from iOS devices and browse them afterwards, and vice versa. Simply "drag" and "drop" all the music and video files and enjoy the outcome, the operation of this iTunes alternative for iPod is such easy, although some functions require your iPod to be jail-broken. * One click to restore all data on your iPod without prior sync. 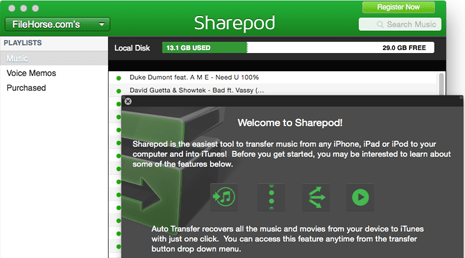 Designed for music fans who want a basic way to manage and backup iPod, SharePod is one of the most popular ipod music transfer application that allows you to copy and share songs, videos and podcasts from iPod to computer or iTunes. In addition, this iPod managment tool is also helpful if you need to recover your entire music library with just one click. * Reverse sync, backup or restore all songs and playlists with one click. 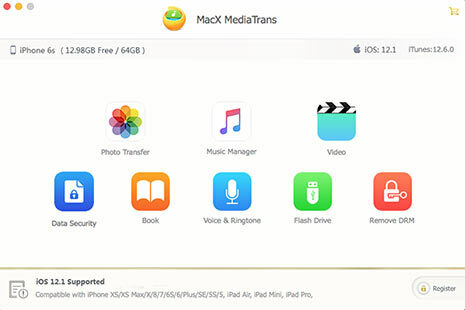 The golden medal winner of the iPod managers review - MacX MediaTrans is the one you can trust to transfer & manage videos, music, photos, ebooks, ringtones and more data files between iPod and Mac. Learn iPhone 8 tips tricks, reviews, pros to make best of iPhone 8.